Little Baby Dottie is nearly 10 months old now and really getting an interest in books. She loves to sit on me and listen (also try to take the book!) to me reading to my 3 year old. But these books are more for the preschool age and not for a baby. When I noticed a shout out on Twitter by ZaZa’s Storybox looking for reviews of their age adapted story book boxes, I knew this would be perfect in finding out about books for her age. So before I share with you what was in Baby Dottie’s box here is a little about ZaZa’s Storybox, so you get a feel for what they are about. Well its a themed, educational monthly subscription box for 0-2 year old’s containing two books and a toy. Their aim is to really want to inspire more families to read to their little ones. I think it’s a wonderful idea! 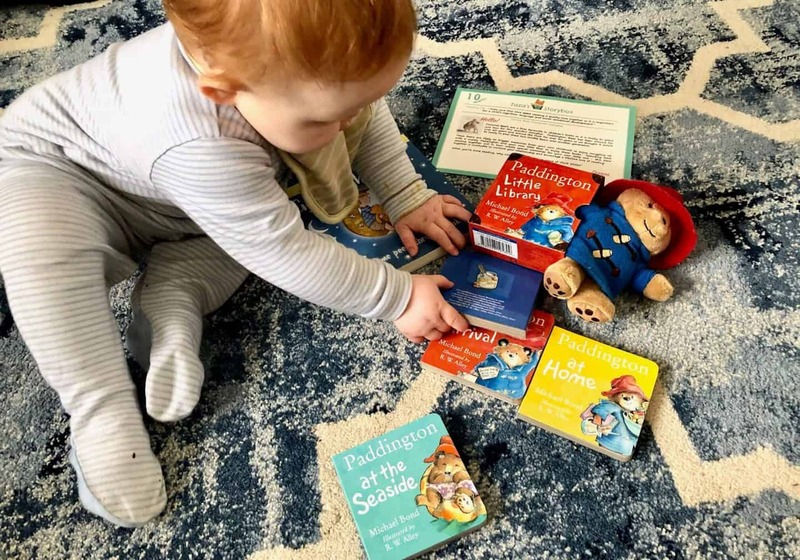 The benefits of ZaZa’s Storybox is to make it convenient for you to inspire your child to love books by taking away the hassle of visiting a bookshop with a tiny baby or busy toddler. They also take the stress out of knowing what books are suitable, and this is a big plus when they grow so fast! Each box has a theme and contains 2 books and a toy, as well as a tips sheet. They use products from reputable brands ​and the great thing I love is that the books are not paperback but the thick cardboard ones, that take some chewing and throwing around! 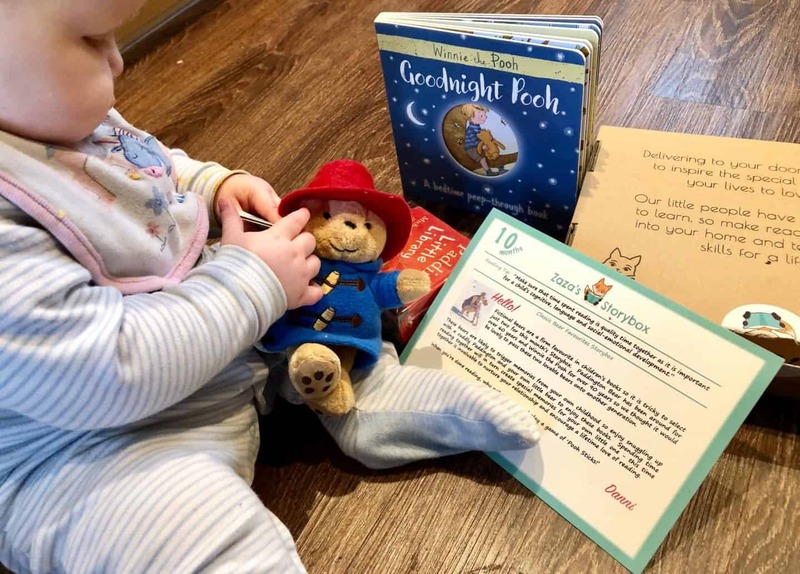 Included in our tailored 10 months old box was a Paddington Bear stuffed toy, Paddington Bear mini box set and a Winnie the Pooh book. Choose a flexible payment plan to suit you and your family. So you can join in for as long or as little as you like. You can pay monthly so cancel at any time, or go onto the fixed plan for 6 months which is better value. I like the option of buying a one off gift plan. Receive your Storybox at the start of each month. 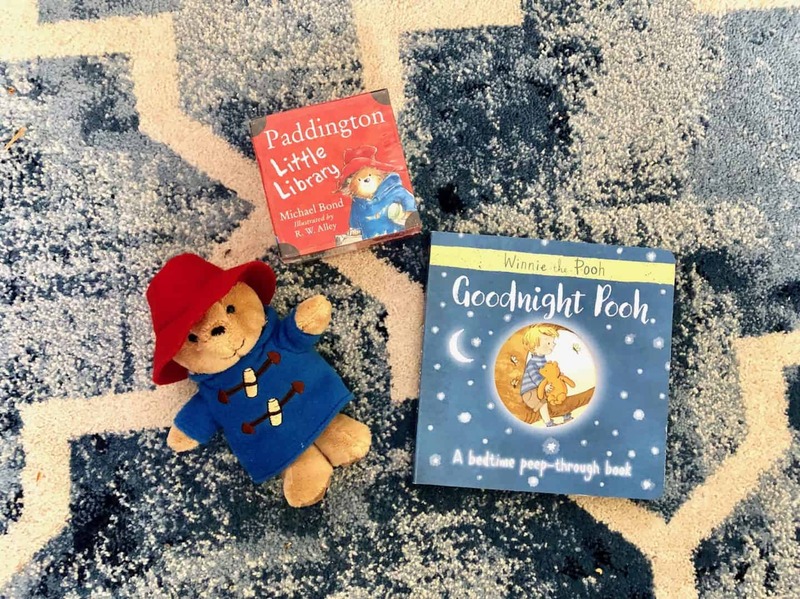 Enjoy the books and toy with your little one. 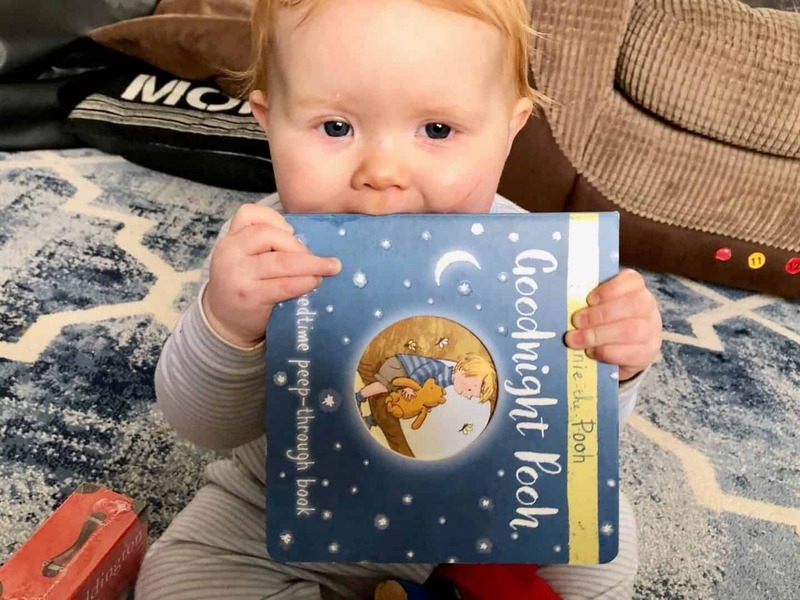 Whether it’s at bedtime or afternoon story time. I’m a huge fan of subscription boxes, it’s always a surprise what comes through your letter box. ZaZa’s Storybox is a great idea for busy parents who might not have the time to visit the library regularly. I do think it takes away the joy of visiting the library though and if your library does a free story time session each week, like ours does it has limited the interaction with others. On the other hand you do get helpful tips and advice with your age tailored box. I would however recommend ZaZa’s Storybox to busy working parents and to those not confident in knowing what books to buy for their baby or toddler. You can check out our other book reviews and related posts here. jUST SIGNED UP! WHAT A FABULOUS IDEA! Great idea. My grandson loves Paddington and Pooh bear. This look fabulous! And no reason why you can’t go to the library as well.